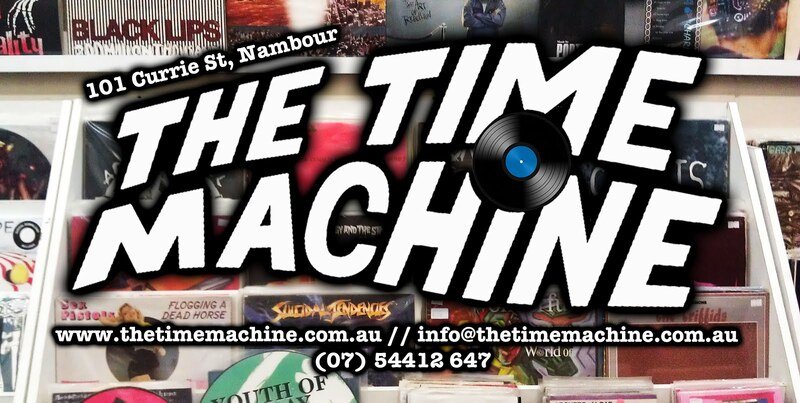 The Time Machine: First gig of the year. a beer-soaked afternoon of grime/sleaze/noise/punk with a band with possibly one of the most offensive names around today. As if the 'C' word wasn't bad enough, it's bloody spelt with a Z at the end to make it that extra bit awful. If you like bands like Venom P Stinger, feedtime, King Snake Roost, Lubricated Goat etc etc, git yr butts to Time Machine this Sunday. 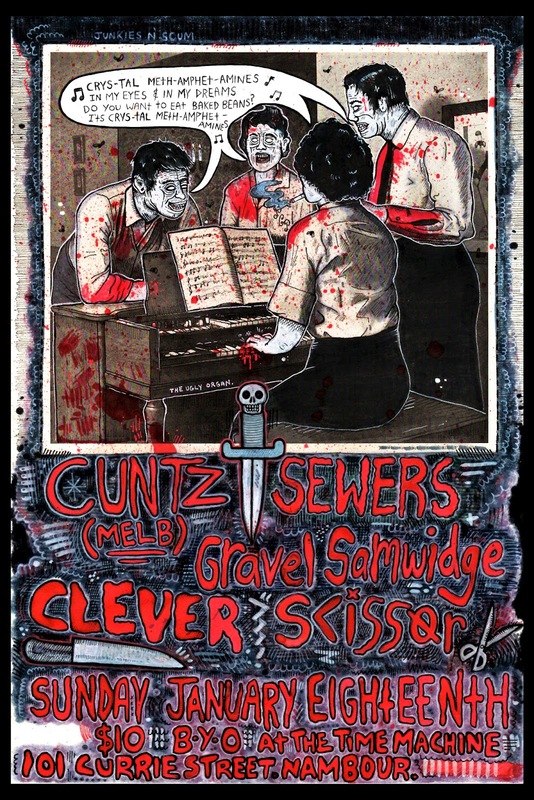 Cuntz (Melbourne) // Sewers // Gravel Samwidge and SCISSOR. $10. BYO. First show of the year! Limited edition posters for sale on the night + merch. Support the bands, support the space, support yourself.